I recently started a part-time job at a small local grocery store. I run the cash register, stock shelves, pull and stock produce, I help customers. I found that I really like being a smiling face and a kind word to people. I also have an auto-immune disease, and I’m not so young anymore. My joints have started to protest loudly as a squat and stand and jog up and down the aisles. Some days it’s all I can do to climb the staircase to clock out at the end of my shift. Because it is a small grocery store, we place a bell on the check-out counter for customers to ring when we need to do things in another part of the store. It isn’t the loudest bell, and I’ve learned that my hearing isn’t as sharp as it used to be. 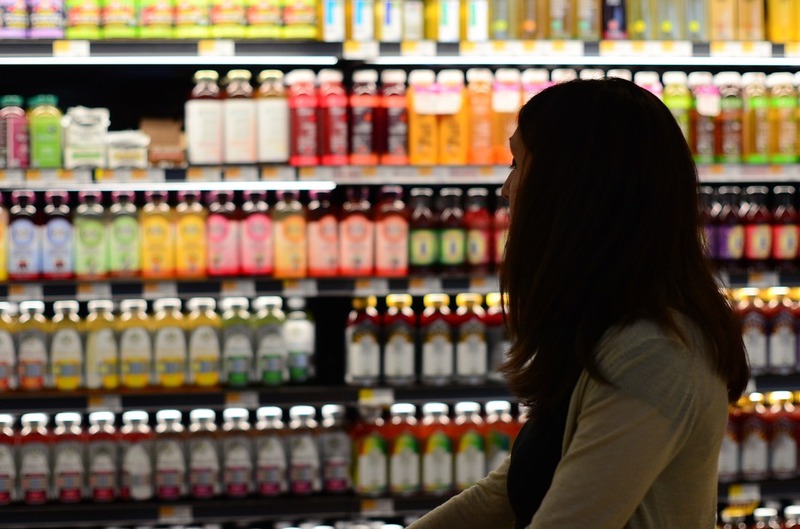 The other day as I stood back up to put product on the shelf, I sighed deeply. Once the armload of cans was in place, I jogged to the end of the aisle so that I could see my register. Sure enough, a customer was standing there. I quickly got to the counter and apologized asking if they had rung the bell. Apparently, my sigh had coincided with the sound of the bell, and I missed hearing it. We exist to serve God and others. Our bodies will wear out, and I’ve come to the conclusion that there’s nothing more fitting than they should wear out in service to others. Are we too busy sighing over our own problems to pay attention to the needs of others? If we keep our focus where it should be, we won’t miss the call to help. So, let’s swallow our sighs, replace them with prayers, and be attentive for an opportunity to serve. We all get busy. It’s a busy world out there. Sometimes we feel that there aren’t enough hours in the day to sit down with our Bibles and spend some quality time with God. That doesn’t mean that we should give up all together. 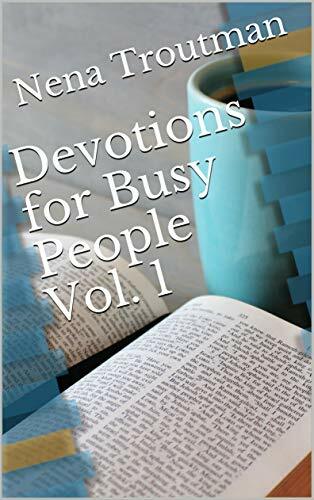 Here is a collection of 31 short devotions for busy people. You can read them, pray over them, contemplate them as you go throughout your day. I hope that God speaks to you through them as you allow Him to challenge you and encourage you to grow. the left and follow the link. Trials. Sorrows. We all have them. They are a part of the human condition. The trick is to remember that we are admonished to 'consider it all joy.' ~ James 1:2 How can we find joy in the midst of our trials? It is because through the testing of our faith we have the opportunity to develop grit,determination, staying power, call it what you will. We are being given a spiritual workout. As with our physical well being, our spiritual well being is greatly dependent on what we take in. If we want to be able to endure, we need to make sure that we have the right fuel. We need to have God's word hidden in our heart so that when our times of hardship come, we will have a well to draw upon.